In an effort to get organised this year I have decided to put to use the scrapbooks we bought last year (and never used!) 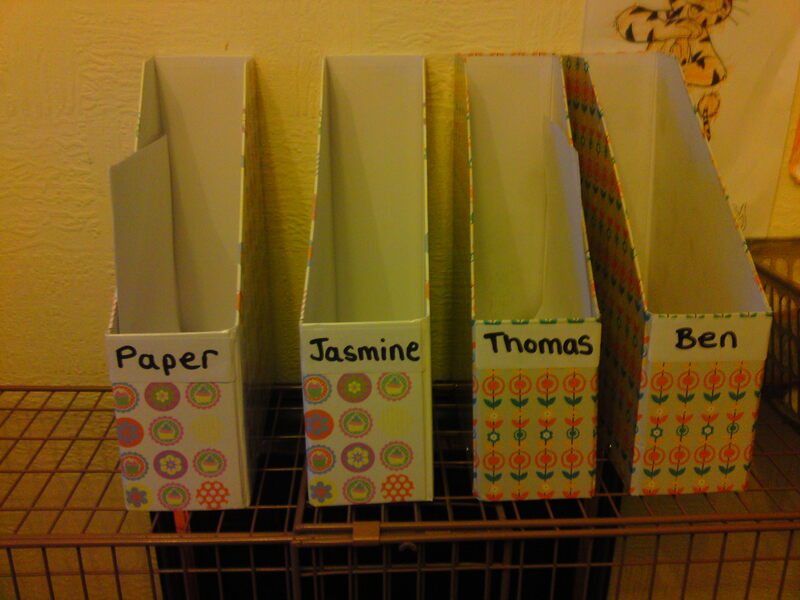 So I have set up boxes for the kids to put their “work” in each week, and then at the end of the week we will pick a couple of pieces to put in their scrapbook and the rest will go in their “special box” (yet to be purchased!) I plan on decorating the cover of each scrapbook to personalise them for each of the kids as well and this will be on our list of tasks this coming week. Thomas and Jasmine were both very excited about this, and set to work “working” immediately after we talked about it. 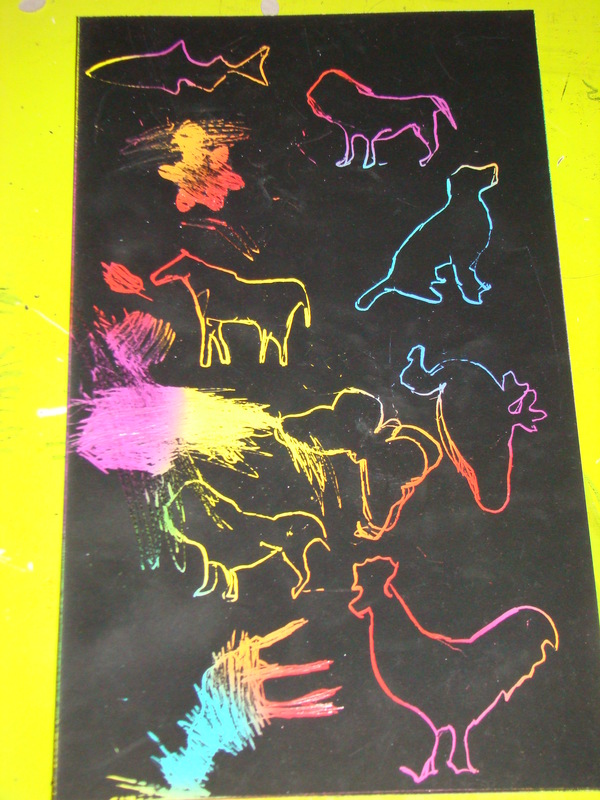 Jasmine asked for “the black paper with the wood pencil” so I got the Scratch Art out for her! The set we had was from Wilkinsons and included a cardboard stencil page inside, which she loved. 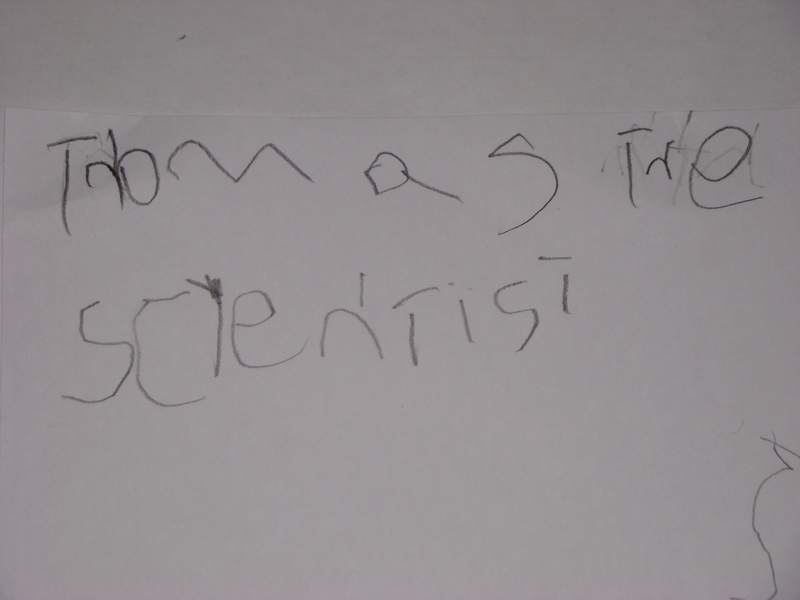 Thomas got paper and a pencil and started drawing round a pair of toy scissors, some tools and then some dinosaurs. When he had finished drawing around things, he drew the Solar System. After some discussion Jasmine decided she would like to be an artist because she likes drawing and making things. I told them they could be anything they wanted to be, and you know what, I reckon these first thoughts from them are worth remembering.